Extends standard USB 2.0 signals up to 325 feet using a single Cat5 cable. 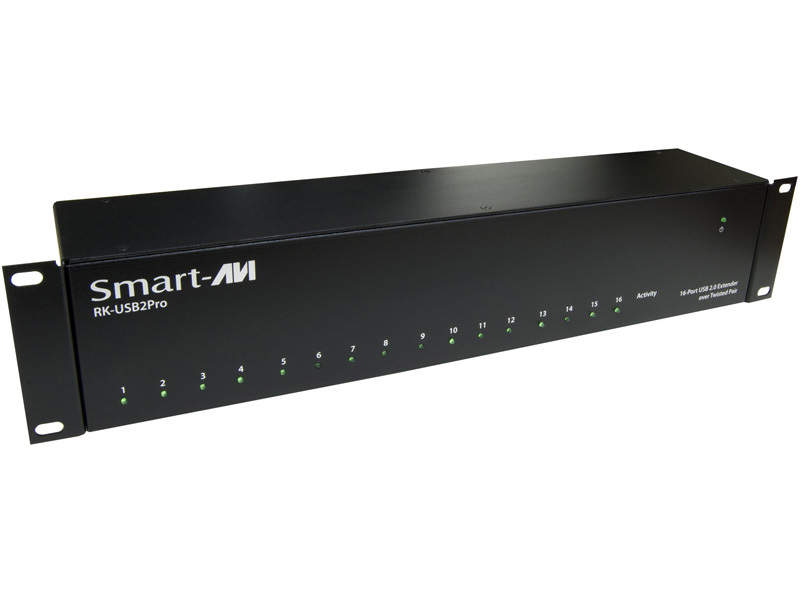 The RK-USB2Pro extends sixteen USB 2.0 input devices to sixteen USB2Pro receivers. It supports all USB 2.0 high-speed devices, from keyboards to digital cameras and will operate on Windows®, Mac and Linux® operating systems. The USB2Pro receivers have an integrated four-port hub that allows for multiple devices to be connected at once. 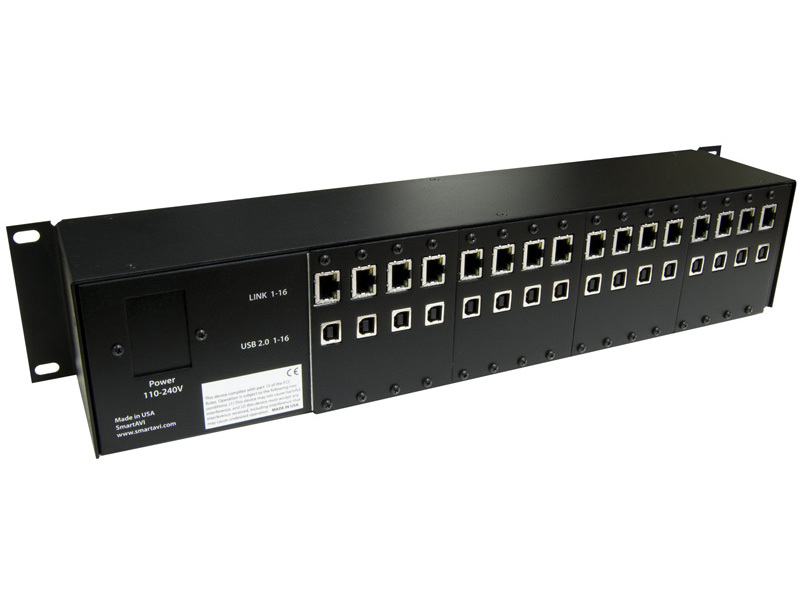 This means the RK-USB2Pro can extend sixteen USB 2.0 inputs to 64 outputs. Additional USB hubs can be added, increasing the amount of devices that can be plugged into the USB2Pro. This is an example of what a setup would look like. For more detailed information on specific models, call the number to the upper right side of your screen.